How to watch Queen In-hyun's Man: Season 1 (2012) on Netflix Bangladesh! Sorry, Queen In-hyun's Man: Season 1 is not available on Bangladeshi Netflix, but you can unlock it right now in Bangladesh and start watching! With a few simple steps you can change your Netflix region to a country like Japan and start watching Japanese Netflix, which includes Queen In-hyun's Man: Season 1. We'll keep checking Netflix Bangladesh for Queen In-hyun's Man: Season 1, and this page will be updated with any changes. 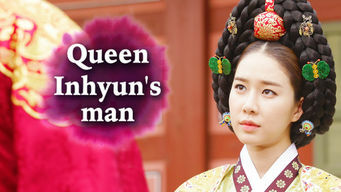 Queen In-hyun's Man: Season 1 is not available in Bangladesh BUT it can be unlocked and viewed! A time-transcending fate brings together a Joseon scholar and a struggling 21-century actress who lands a role as Queen In-hyun in a major TV drama. He's Queen In-hyun's most loyal supporter. She's Queen In-hyun ... albeit a fake one. It's a match made in heaven. Season 1 of Queen In-hyun's Man has 16 episodes. Because different Netflix countries have different availability for episodes, you'll need to check the episode listing below to see which are available in Bangladesh. In Korea’s Joseon era, Kim Boong-do foils an attempt on Queen In-hyun’s life and is then targeted by Minster Min’s men when he suddenly disappears. Suddenly finding himself 300 years in the future, Boong-do has his first encounter with Hee-jin and can’t decide if he’s dead or dreaming. A dramatic reunion with Boong-do just before her press conference has caused Hee-jin to faint. Boong-do searches for her after he loses the talisman. Boong-do figures out how to use the talisman to go back and forth between the future and past. He uses time travel to learn more about the past. 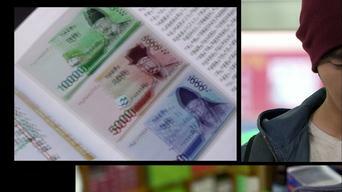 Soo-kyung spies Hee-jin with Boong-do at the library and is suspicious of their relationship. Hee-jin tells her that Boong-do is her history tutor. 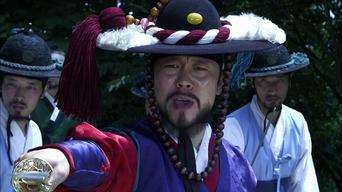 Suspected of treason, Boong-do is stripped of his title and exiled to Jeju Island. He once again travels time when attack by assassins. Dong-min once again mistakes Boong-do for a stalker and wants him arrested, but Hee-jin steps in to claim he is her boyfriend and avert a crisis. Boong-do reappears to repay Hee-jin’s kindness. Hee-jin finds she has feelings for Boong-do when she sees him again, but he cannot stay in the future. Hee-jin becomes dizzy while driving and has an accident. While hospitalized she displays some very strange symptoms. Boong-do and Hee-jin return to their normal lives. Boong-do has lost both the talisman and his memory but has returned to his former position. With the talisman in hand again Boong-do returns to the future. He visits Soo-kyung to ask about Hee-jin, but Soo-kyung has no recollection of him. Hee-jin is thrilled to be reunited with Boong-do. She breaks up with Dong-min and is happy with Boong-do for a time, but Dong-min is out of control. 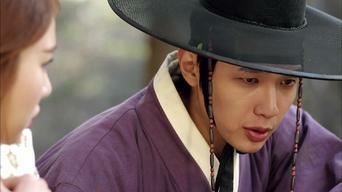 Boong-do returns to the past where Yoon-wol learns he plans on leaving for a new life and tries to discourage him. Boong-do appears before the king to prove his innocence, but the king is furious and orders Minster Min also be brought before him for questioning. Boong-do decides to stay in the future and Hee-jin rents an apartment for him near hers. He studies hard to get adjusted as soon as possible. One year after Boong-do’s sudden disappearance, Hee-jin is a successful actress. Perhaps the two are not destined to cross paths again after all.